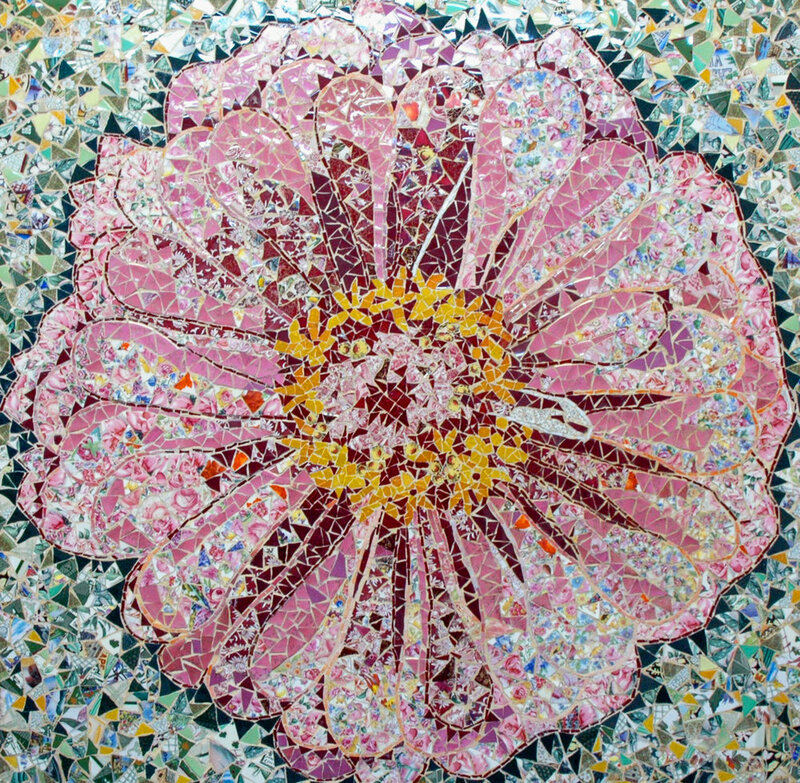 Pique Assiette mosaic also known as trencadis, broken tile mosaics and memory ware is a type of mosaic made from cemented together tile shards and broken china ware. Pique assiette literally translated, means "thief of plates" in French. 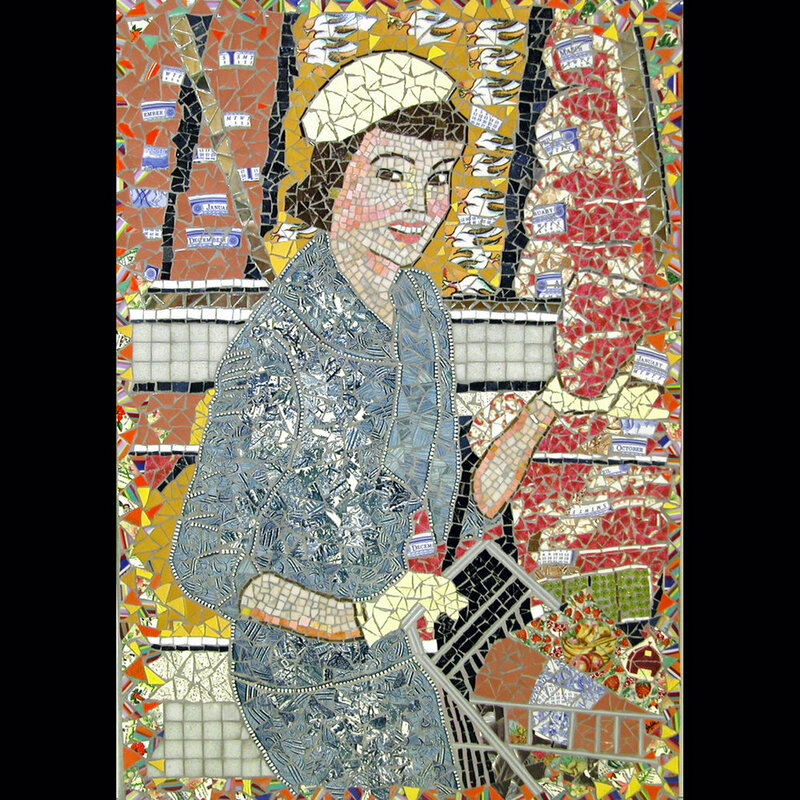 Is part of a series of work, which humorously showcases the nostalgic image of the quintessential 1950's woman with food. It playfully uses irony and up cycled china to redefine and question the image of women who would rue the day they broke a dish!